News in brief: YouTube Kids app, Monitor Audio online shop, Game of Thrones | What Hi-Fi? From the upcoming launch of a new YouTube app designed just for children to the opening of Monitor Audio's online shop, here's all the news in brief from What Hi-Fi? on 20th February. And we start with the news that Google-owned video platform YouTube is to unveil a new app for younger viewers – and its due to be made available on Android devices on Monday [23rd]. 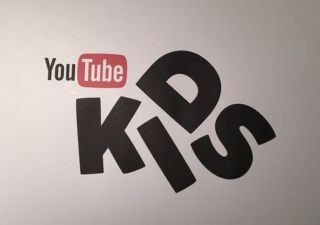 It's called YouTube Kids, with USA Today reporting that company executive Malik Ducard is to announce the app's launch at children's entertainment industry event. Kidscreen Summit. The internet has all but transformed every aspect of our daily lives, with shopping proving to be no exception. Now, Monitor Audio is the latest manufacturer to open its own online retail store. You can now purchase the company's Airstream range of music systems – internet-connected, of course – by visiting the Monitor Audio website and shop from the comfort of your own home. The Verge is reporting that Microsoft is about to open up its Xbox One apps platform in quite a significant way over the summer – a move that will greatly expand the range of apps available. According to the tech website, full details will emerge at its build developer conference in April but it's thought it'll involve letting developers turn retail Xbox One consoles into developer kits. It could rank as one of the biggest TV highlights of 2015 so far, with the new series of Game of Thrones due to hit the screens in March. And Sky Atlantic is preparing something special for it. Basically, the channel is taking over the Tower of London for the world premiere of series six – and what's more is that 25 fans could win a pair of tickets to be there in a channel competition.